Corona city council candidate Alex Garcia aims to take the city of Corona by storm with aggressive changes for the people. CORONA, Calif. - Oct. 21, 2016 - PRLog -- Throughout the golden state, city politicians seek change and plan measures to make the necessary changes for their city. However, how often do politicians in their time in office make a real difference? Alex Garcia, Corona local entrepreneur, aims to reclaim the city government by placing a strong voice on the residents' needs. As a candidate in the upcoming election, Alex Garcia simply stands on listing, acting and delivering for the people of Corona. At an early age he was exposed to making hard decisions and gathered skills in working with people in extreme situations, which have led to his call as a public servant. His platform consists of growth with small businesses, revitalizing the Sixth Street district, helping the homeless and advancing the youth arts. 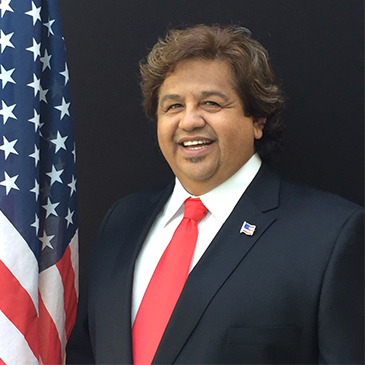 Garcia exclaims, "I am running for Corona City Council because I am acting on many complaints that the city has either neglected or otherwise forgotten such as the downtown Sixth Street area and Main Street. I am running so that my fellow residents could count on someone they know who takes action, a person they can rely on who delivers answers and resolutions to their various issues and concerns." As an entrepreneur, Garcia owns a local live event venue called Rockefellas, a successful billboard media firm, AMG Outdoor, and many other established business. His superb business sense creates a well needed position for the future council man. The abilities to manage and budget revenue has not been on the city of Corona's A list over the past years. Alex believes the misappropriation of city funds is something he can put an end to. Alex stated, "As a business person, I understand the value of helping people to get a better start in their career, their future and their lives. I have helped hundreds of people enhance their quality of life through my guidance and my genuine willingness to help them succeed." Rebuilding, concern, and care, Alex Garcia lets the voice of the people be heard. His business credentials excel greatly and his platform is great for what the city is asking. Alex Garcia by heart is an entrepreneur, but a person of the people by trade. View more of Alex Garcia's platform at www.alexmgarcia.com.